Satellite turns 50 years old ... in orbit! 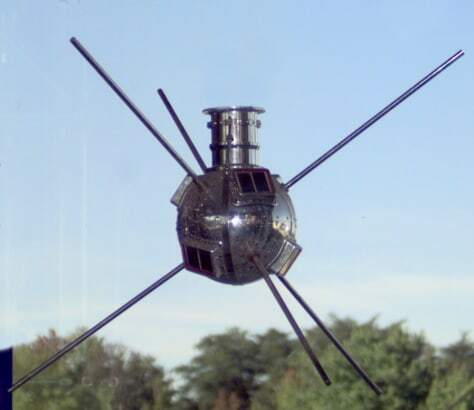 Engineering models of the Vanguard satellite, including this one, have gone on display on Earth. But the actual Vanguard 1 satellite is still in orbit, 50 years after its launch. Now some experts are talking about bringing the original Vanguard back down.